The serenity catches you as soon as you pass the Kashipur city. In the middle of dark, there stands the well-lit campus of the IIM Kashipur. As you enter the campus, you see the wide roads, plush greenery, leading to the academics block of the institute. I was in awe of the infrastructure that has been provided here when I visited the institute first time. Constructed by one of the construction giants, “ShapoorjiPallonji Group” the red brick walls add to the aesthetic masterpiece it is. The campus boasts of single occupancy hostels which have the capacity to accommodate 500+ students. Each hostel wing consists of four floors and 6 individual rooms in each floor. Each floor is provided with a fully automatic washing machine, a microwave oven, an R.O. and a refrigerator. Where can you get such facilities outside your home? The answer is simple, your next home for 2 years. It has a fully student run mess which provides mouthwatering food 4 times a day.it also have 2 table -tennis tables and a television as a mind refresher. For outdoor activities, the campus is equipped with a basketball court, a football court, a Frisbee arena. The whole campus has a circumference of 4.5 kilometers. This provides a beautiful and scenic pathway for cycling and jogging enthusiasts.IIM Kashipur is the only institute in the country to provide a green MBA. As a responsible institute, it has an eco-friendly “radiant cooling’’ in the hostels. This provides a soothing cool environment when the scorching summer enters the Kashipur. Coming to the academic facilities, the campus is equipped with high-speed Wi-Fi, and digital classrooms with each having seating capacity of 100 students and are centrally air-conditioned. It also has a library with ample collection of case studies from various ivy leagues in the world like Harvard, MIT sloan etc. The institute is 68 kms away from Jim Corbett national park, which houses the magnificent tigers of Corbett jungle, 82 kms away from the beautiful work of nature, ‘’Nainital’’ 96 kms away from Bhimtal, and 130 kms away from even more beautiful, Mukteshwar. Such a proximity to these world famous and beautiful hill stations give an extra touristic edge to the IIM Kashipur which no institute have as now. It has a Biker’s club which tours these places frequently to inhibit the mundane-ness which comes from the highly rigorous curriculum of IIMs. The campus is a 4-hour train ride and 6 hours by road from Delhi. The proximity to the national capital of our country helps the institute’s placement drive. The campus also includes 2 canteens which runs 20 hours a day, and a store which provides anything you need in the campus. It also has an infirmary with an M.D. and a counsellor. The campus is in proximity to the Kashipur industrial belts which consists of 603 industrial units. This helps the students gain the industrial exposure that is a necessity in today’s economy. 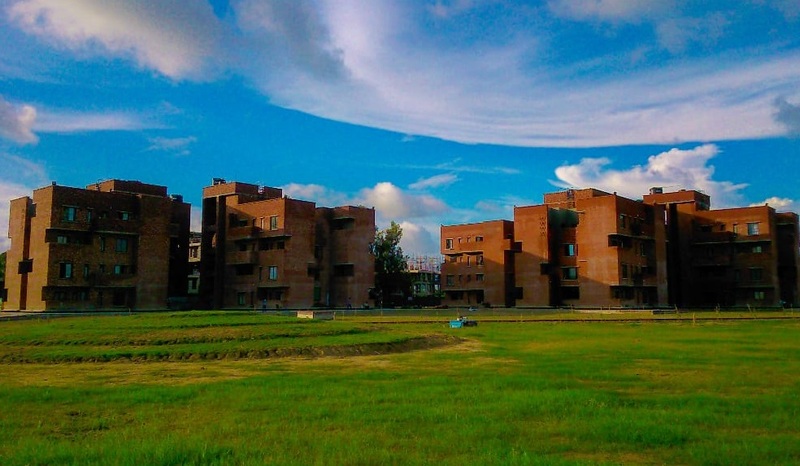 To sum it up, world-class innovative construction, in the lap of nature defines the heaven that IIM Kashipur is. COMPANY: ULTRATECH CEMENT LIMITED My choice to work in the UCL might be an inclination to my graduation background, civil engineering. While working on different construction projects I have experienced the quality and strength this product provides to the structure. UCL is the largest manufacturer of grey cement, Ready Mix Concrete (RMC) and white cement in India. It is also one of the leading cement producers globally. Working in UCL will benefit me as it has one of the most sophisticated R&D department which ensures the product’s development according to the needs of local as well as global market.